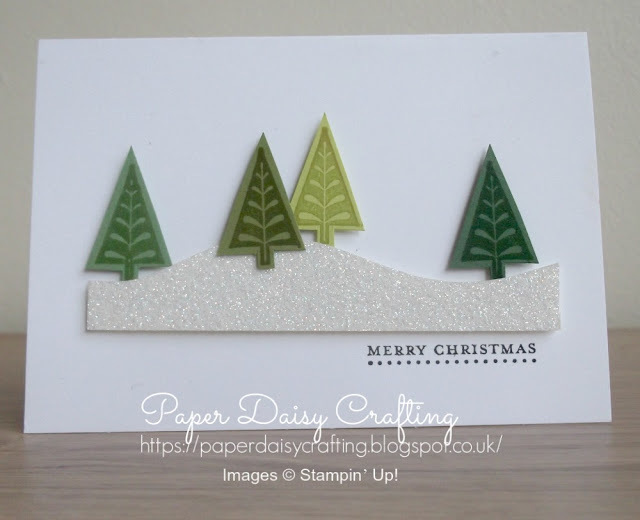 Paper Daisy Crafting: More Christmas cards with Merry Mistletoe from Stampin' Up! 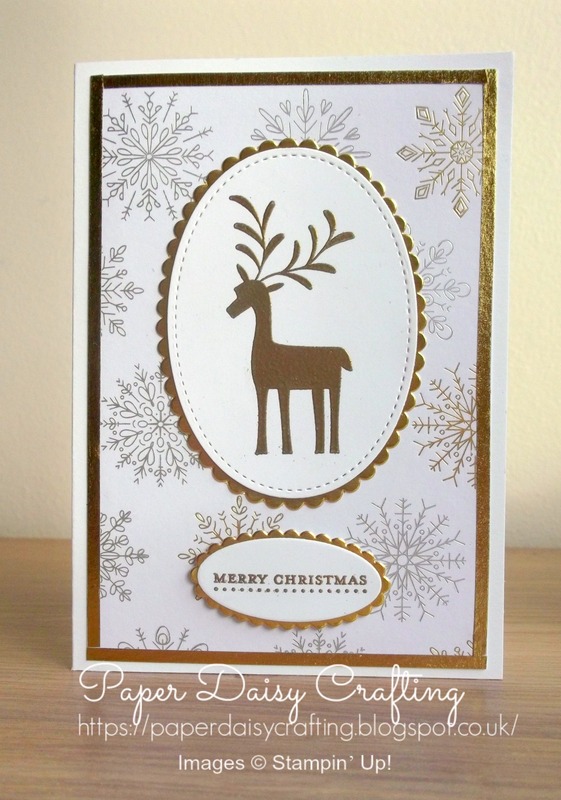 More Christmas cards with Merry Mistletoe from Stampin' Up! Do you remember this card I showed you a few weeks ago? 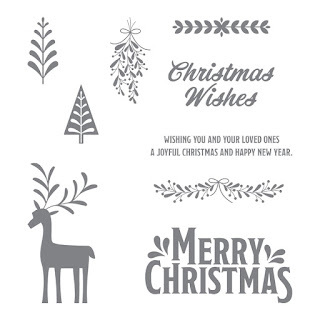 The one thing these cards all have in common is that they use the "Merry Mistletoe" set. And that's not all - I've been playing again and have lots more samples using this set to show you. 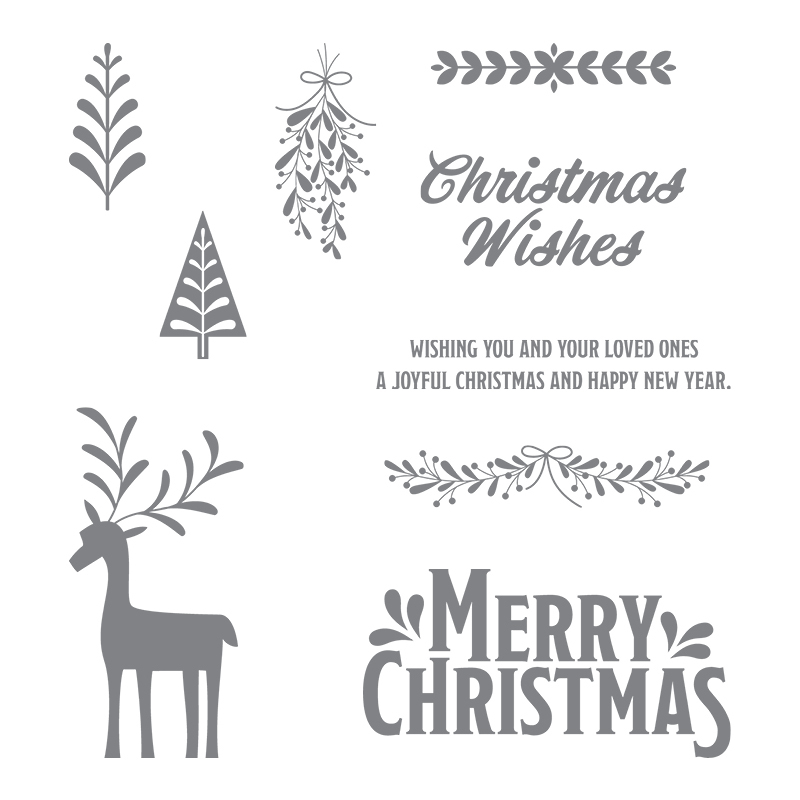 If you were undecided about which stamp set you need this year for your Christmas cards, maybe this will help you decide - so many possibilities with this set. And if you order today, you can take advantage of the free shipping offer. 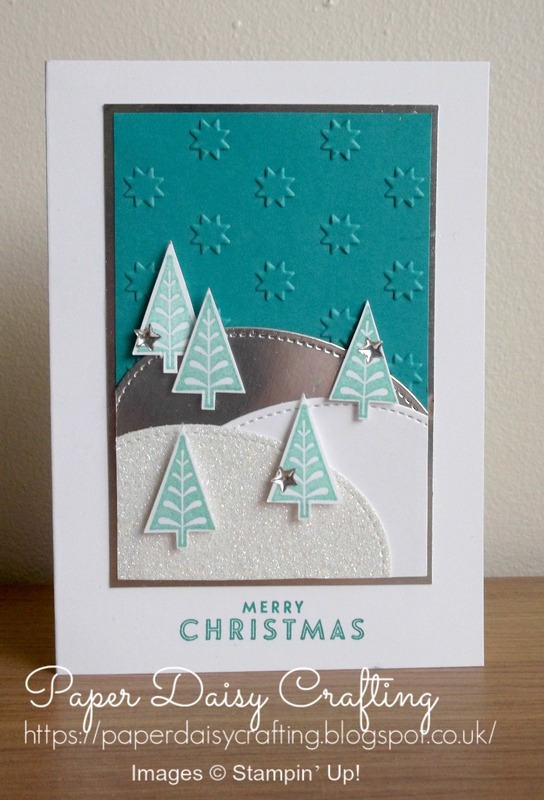 I love the simplicity and clean lines of this card so much and it couldn't be easier to make. I just chose 4 different colours of green card stock and the four co-ordinating inks. I stamped the little Christmas tree on the green cardstock and then fussy cut them. I cut a piece of white glimmer paper with a wavy border and mounted it on a note card with dimensionals. I placed the trees randomly along the glimmer paper, again mounted on dimensionals. 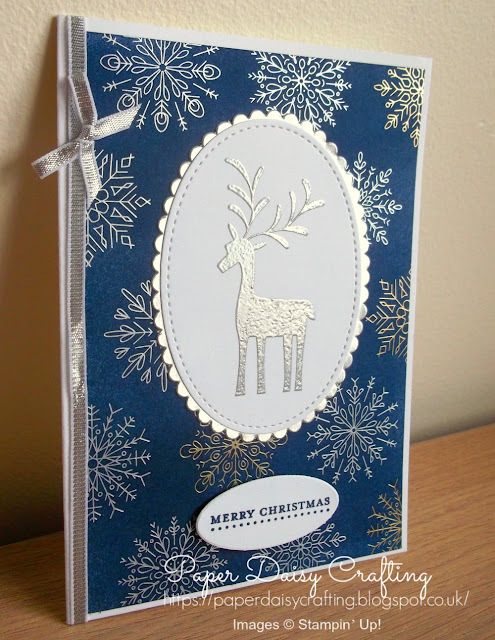 I then added a "Merry Christmas" greeting from the "Teeny Tiny Sentiments" set, in black ink and the card was complete. So simple but completely lovely! Hope you like it as much as me! Back soon with some more Merry Mistletoe fun!